Win! A Fender Player Stratocaster! The timeless genius that Leo Fender tapped when creating the Strat still resonates with guitarists today, and it’s an essential part of every player’s arsenal. 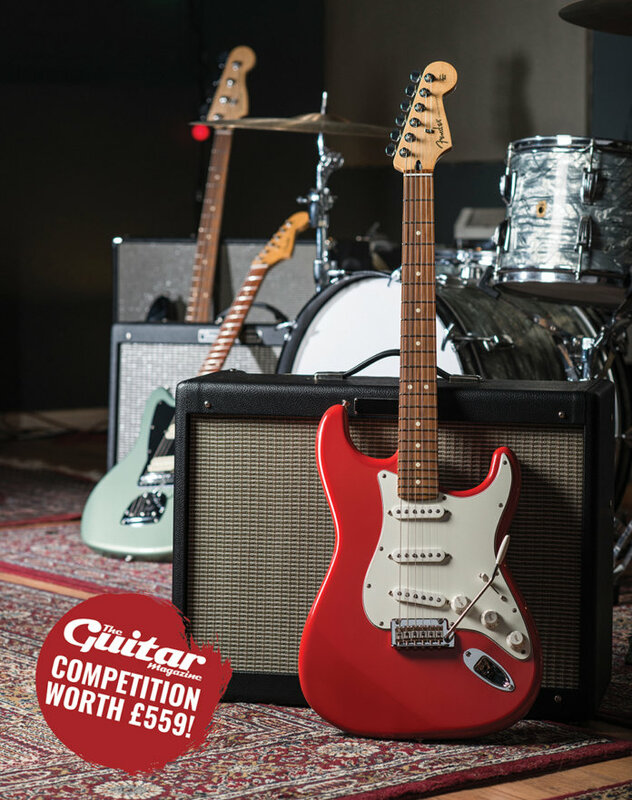 Now, thanks to Fender EMEA, we’re giving you the chance to own the company’s latest take on that classic recipe – the Player Stratocaster. As those of you who read our review last month will already know, the Player series is Fender’s overhaul of its mid-priced Mexico-made range, designed to give the gigging and recording musician more of what they really want from its most iconic guitar designs. The Player Stratocaster does exactly what you’d want a good Strat to do – the bell-like high end, punchy mids and robust low end, combined with crystal-clear articulation and sublime playability, are all dressed up in a body hand-shaped to more closely resemble Leo’s original design, and with classic looks thanks to a Sonic Red finish. The new Player series pickups are crisp and articulate with a bit of an edge, while the 22-fret neck has a universal C-shape with a player-friendly 9.5-inch radius. Down the other end of the guitar, the new two-point floating vibrato offers smoother operation, and the bent steel saddles will charm those craving a more vintage vibe, while a bridge pickup tone control gives players one of the most popular Strat mods straight out of the box.